Leadership and innovation place institutions in direct contact with the unknown in a way that requires vision. An important part of facilitating such visions within academic institutions is in providing students with opportunities to devise new ways of thinking and approaching problems. The task of the Student Innovation Fellowship Program then is to provide not only an environment for student innovation, but also a set of tools and intellectual bridges which will enable students to overcome the challenges of the unknown, by utilizing methods drawn from multiple disciplines. Therefore, our role as navigators and pathfinders of the unknown within the SIF program leads us directly down a path of creativity which gives us unique opportunities to address emerging community needs with experimental skills, conscientious ethics, and technology. Working as a team liaison on the Flat Rock Cemetery project on the behalf of the SIF program has revealed to me the importance of adopting inventive approaches to solving problems which are driven by social events and research needs, by using technology. The Flat Rock Cemetery is a landmark that exists at the nexus of multiple points of municipal and academic interest. 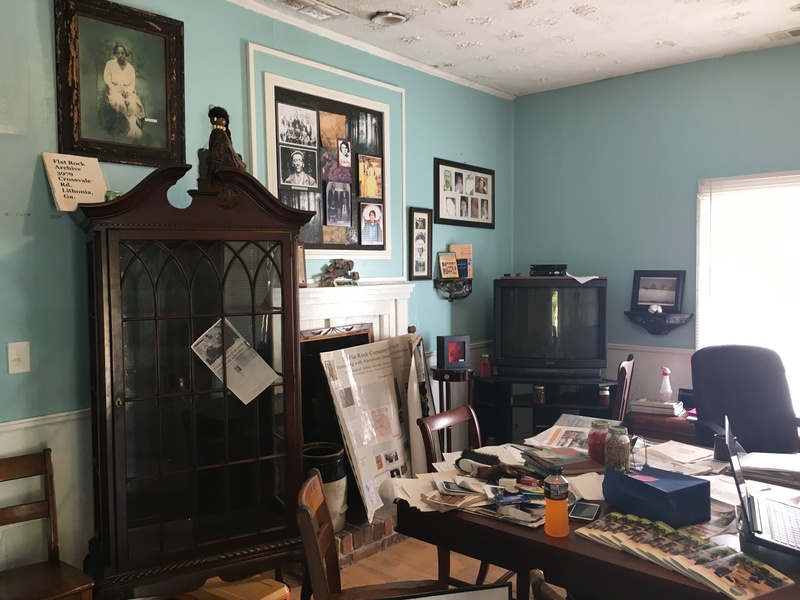 The site involves geography, anthropology, the history of the local African-American community, and the broader history of city-planning in Lithonia, GA. The Flat Rock community’s story is ultimately a narrative about a unique African-American community preserving itself against drastic socio-economic changes across a century and a half. When Dr. Jeffrey Glover brought the Flat Rock Cemetery to the attention of the SIF program, it represented a unique challenge. Presenting the historical significance of the Flat Rock community to the public, in a project which centered on Flat Rock’s cemetery and highlighted the community’s past as a place founded by escaped slaves, presented several issues. The least of these issues has been creating the techniques used to capture and present the physical manifestation of the cemetery in a way that is both useful to the public and researchers. A wide array of technology has been used by SIF team members to capture the quintessential nature of the Flat Rock Community’s Cemetery, from geo-mapping with ArcGIS software to drone-based photography. The more pressing concern, which I felt the SIF program was especially well-positioned to answer, was the problem of how to present the Flat Rock Communal history in a way that granted full respect and consideration to the historical figures who were responsible for its existence. The SIF program believes in invention, especially by taking academic technique and expressing its praxis through technology. Because of that, we were able to create a workflow for capturing the historical data of the Flat Rock community by using cutting-edge technology while still observing socially scientific ethical standards for collecting and presenting the data. Additionally, we have intentionally developed our program for data collection and presentation in way which will enable us to leave our work open-ended enough for Flat Rock Community members to continue presenting their heritage autonomously. This humanistic approach is what differentiates the Student Innovation Program from other groups, and makes it focal point of Georgia State University’s efforts to lead in innovation.